We are pleased to now be able to offer our new below Social Media training modules to support yourself and your business colleagues with some of the potential challenges to business when using Social Media platforms. As many of you will know social media is a powerful tool and these modules will provide you with the skills to embrace social media. 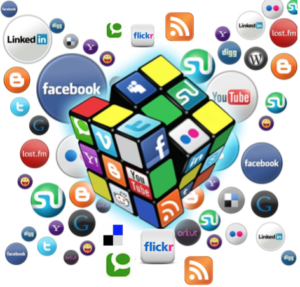 Social Media is a form of marketing is here to stay. Done well, it can be a fantastic, low-cost method of marketing your business – you can reach a large number of targeted people instantly and control your message. This CPD accredited course will help you create a strategy for your social media marketing to ensure you don’t waste time and money. The Introduction to Search Engine Optimisation online course will help you to identify relevant keywords and structure your website and content to present these in the best way. Learn about website design for SEO and how to go about building links to your web content to boost your search engine rankings. It is easy to harm to your search engine rankings if you go about things the wrong way so start by learning the fundamentals of good search engine practice with this CPD accredited course. Blogging is a fantastic way to promote your business or provide an outlet for your creativity. Learn how to create a blog and get it found by others with our online course. Blogging in the right way can raise awareness of your business or personal brand, promote products and get your website found by the search engines. There are several reasons why a blog can be the most valuable addition you can make to your online marketing strategy and this CPD accredited course will show you how to set up a blog, software to use and how to create blog posts that will keep people coming back to read more. If you are seeking to gain a business advantage, develop your brand awareness, provide excellent customer service or keep up with your competitors, you need training to maximise Twitter’s potential. This CPD accredited course will open your eyes to the possibilities Twitter offers for marketing and promotion of your business, product or personal brand. Learn the “how” and “why” of Twitter and how to work with it efficiently. Facebook is a ‘must-use’ social network for many businesses. It is not just a network of people playing games or sharing pictures of their pets. Almost all businesses will benefit from having a well-maintained Facebook business page and a strong optimised Facebook profile can help you become more visible in search engines. In this CPD accredited course you will learn the “what, how and why” of Facebook marketing and promotion. There is more to Facebook than you may realise and learning how you can properly target your audience is essential to marketing on this or any other social media platform. Learn how you can develop and market your personal brand and that of your business using LinkedIn. Find, contact and engage with important business contacts and potential customers. Get recommendations and attract new business. This CPD accredited course will teach you what you need to know to make the most of LinkedIn as a marketing platform for either your business or your own personal brand. Do you sell visual products or services? If so, you need to use Pinterest for marketing. Use Pinterest to post carefully targeted content to attract your potential customers. Pinning images of your products will increase awareness of your brand and products, help to drive traffic to your website, and boost your products in search engine rankings. This e-learning course shows you how to make the best of Pinterest marketing for your Business. Can you afford to ignore video marketing? You don’t need to pay expensive video creation fees; our Video online course will help you to create professional videos to market your business at a fraction of the cost. By completing this course, you will be able to produce, create, edit, publish and share your video. Learn about video software and editing techniques, how to promote your videos on YouTube and how you can use a self-created video to market or promote your products, services or personal brand. This comprehensive CPD accredited online course will take you through the features of the WordPress software and the steps you need to create your own website from scratch or to maintain an existing website in house. Learn all about the structure of a WordPress website and how you can add additional functionality through add on software. Find out about good design practice in terms of usability and search engine optimisation and take control of your own business website. This course includes a hosted WordPress site for the duration of the course allowing you to put the theory into practice immediately. If you are interested in registering for any of these courses please contact us today!